The presentation provides an in-depth overview of the micro-blogging, social media tool, Twitter. 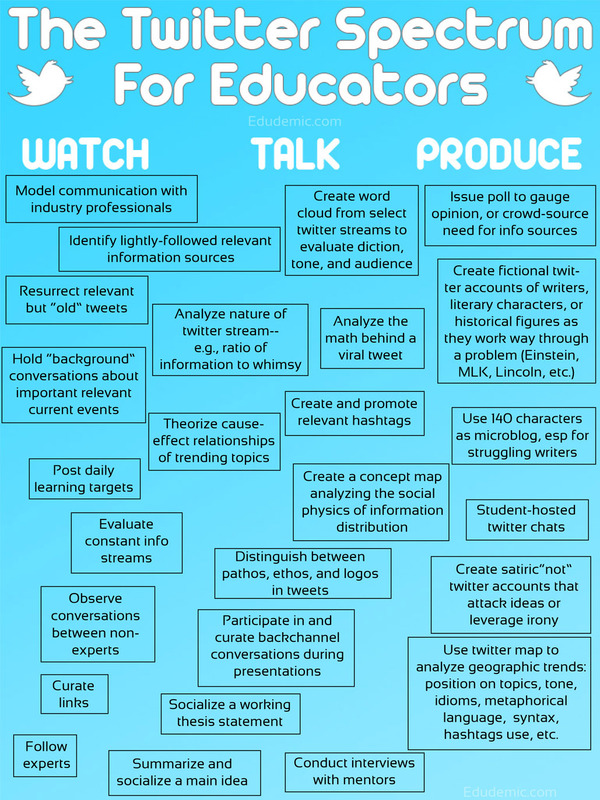 Twitter is a great source of professional development and collaboration to add to your personal learning network. The links to the tips, tricks, tools, research, and other items included in the presentation are listed below. Mashable: "If you printed Twitter"
YouTube Video of "Administwitters: Administrators and Twitter"
Twitter in D123 from OLHD123 on Vimeo.